The airport in General Santos has finally put up a tourism information desk to assist tourists traveling to Central Mindanao. The desk was launched by local officials and the Department of Tourism, and the official launch featured cultural dance performances by the Hinugyaw dance troupe. Those manning the desk will including students from Golden State College, who will help oversee the tourism desk as part of their field exposure. Also, employees of the Dept of Tourism and local personnel of the Civil Aviation Security Authority of the Philippines will work the tourism desk. Tourists will have easy access to all the eco-tourism sites of Central Mindanao. This is part of a huge campaign to showcase the region, it's tourist destinations, and its areas for investment opportunities. 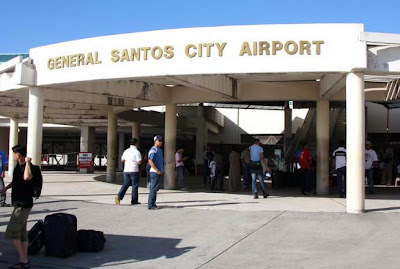 Regional tourism director, Nelly Dillera, comments, “Every passenger who alights from each plane that will land on Gen. Santos City Airport shall be treated as a very important guest by this service desk." General Santos, also known as Gen San, is the southernmost city in the Philippines with more than 500,000 residents. It is about a 2 hour flight south from the capital city of Manila. The weather is very tropical, and the average high is about 88 degrees fahrenheit (or 31 degrees celsius). There are several huge shopping malls in the city, including SM City General Santos, Robinsons Place GenSan, and Gaisano Mall of GenSan.